Item Number: 135-74 17764 Actual Weight: 0.8 lb. Safely dispose of used needles and other sharps. 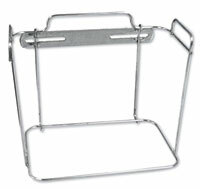 Puncture-resistant and leakproof with split-lid design and dual openings to protect against accidental exposure and unauthorized removal of used and discarded items. All are autoclavable or can be incinerated. 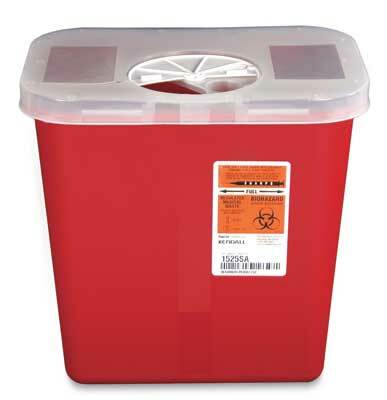 Helps meet CDC, JCAHO, and OSHA guidelines regarding bloodborne pathogens. Call for details about wall/cart brackets and locks.